It's been a while I released any real news on the game so I figured what better way to update anyone who is interested than to release a little demo of the game as well. Well, it seems to have been a little longer between posts than I intended, I apologise for that. 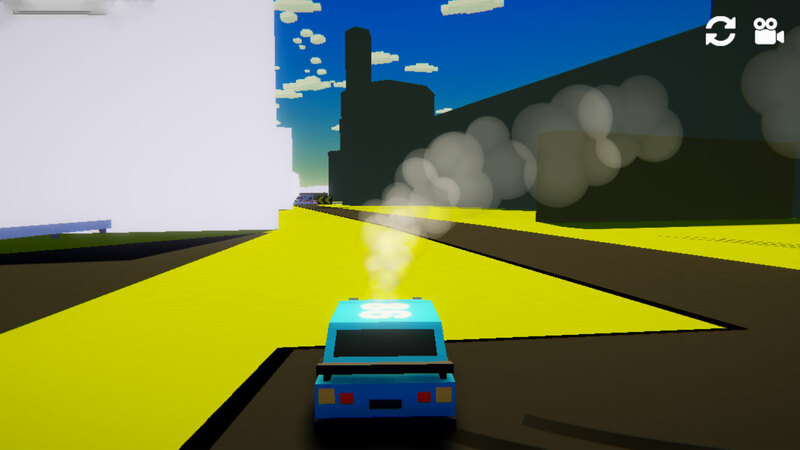 Yes there have been times over the past months that nothing has happened on the game, I got sidetracked by other projects I started (tba) so Retro Racing Rampage (R3) took a back seat for a while. But recently I was determined to actually finish and release the game, I've spent enough time on the game in the past few weeks to have something ready to demonstrate (but not ready for full release yet) so you'll find the first beta available in the flies section. The game will be free to play. I did toy with releasing it for 59p/c but figured hardly anyone would even pay for it really so didn't seem to be any point doing that. There will be unlockable IAP available to remove ads and give you instant access to all the cars and caravan mode, but should users decide not to do this then it won't really take that long to get enough credits to earn them all yourself (aiming atm to unlock a new car every 1st place you get automatically and earn you 3k credits per win). Online multiplayer has gone. I'm sorry to say that I've stopped working on the online multiplayer aspect of the game, there's still local multiplayerfor you couch co-op fans, but it just didn't seem worthwhile to pay for a service to host the multiplayer after I checked the stats for Heavy Steel and saw how little multiplayer was used compared to single player on that. The real-world town of Caernarfon is now a track. It's the town I grew up in so seemed fitting that I ended up using the world-famous Cearnarfon castle as a centerpiece for racing around (like a boy racer as we used to say :p). So let me tell you a bit more about the modes available in the game. 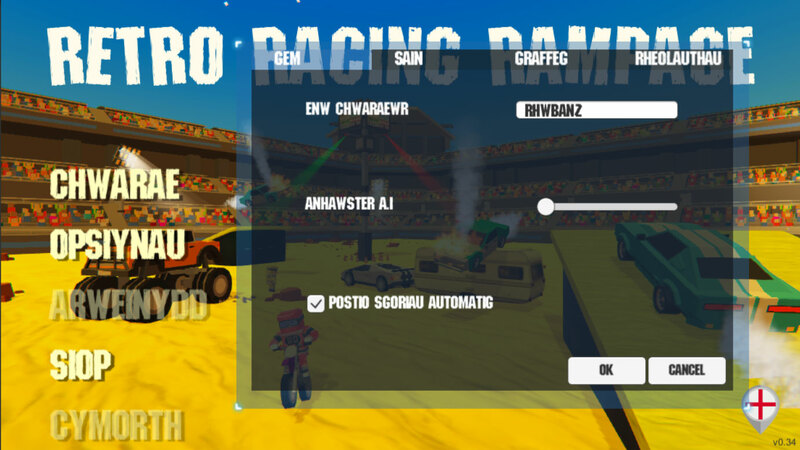 This is the bread & butter mode of the game, there are currently 4 tracks available, which are Sunset City, Caernarfon, NASCAR Circuit and Madcap Arena. 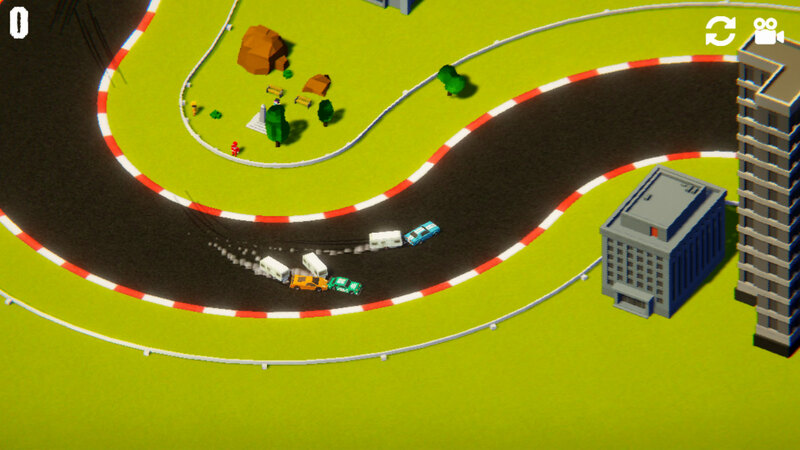 The Arena and NASCAR tracks are more suitable for those who want to play in a top-down view, as they can easily fit on a single screen for that real retro (Super Sprint, I'm looking at you) racing feel. Everyone loved crash mode in the burnout (tm) games, well i did for sure. 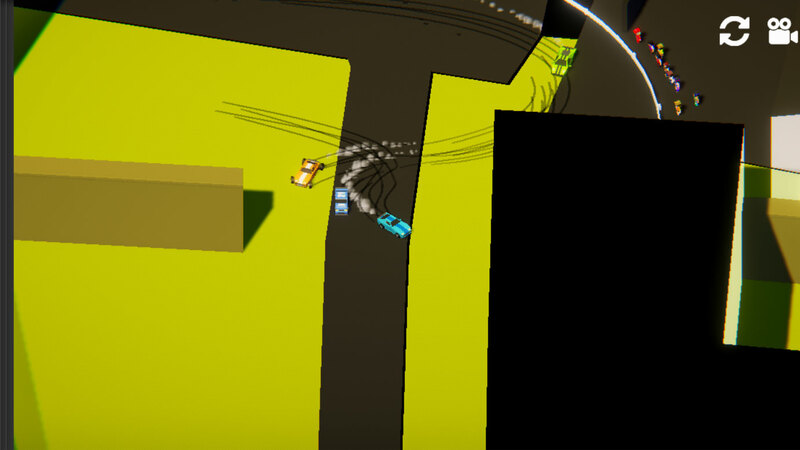 This is our homage to that mode, take your car down a single road on Sunset City and try to cause as much damage as possible, there are other cars, buildings and for some reason unknown to anyone, piles of Caravans for you to plough through to get your score as high as possible. 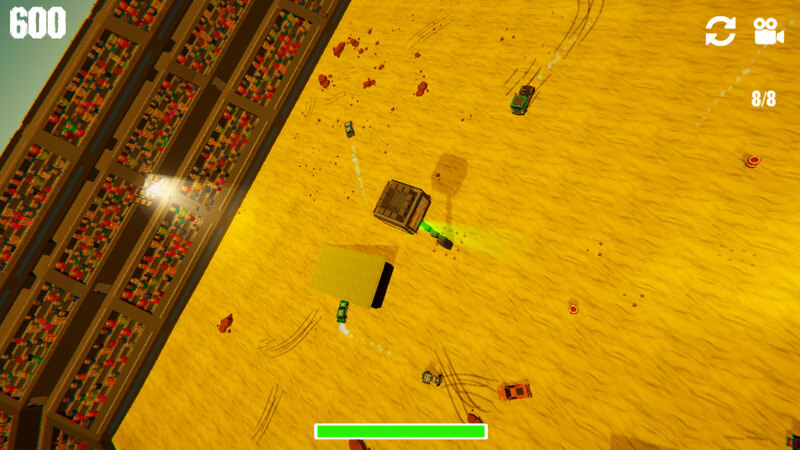 Start in a stadium with 8 players (it always makes the number up to 8 with bots to fill up the empty player spaces), try to cause as much damage as possible to others to knock them out and be left the arena champion in this twist on the Battle Royale genre. Sounds, Music and Voiceovers. The game is very quiet at the moment so really need to spend some time buying, making and finding audio for the game. Gamepad and keybinding changing. I really need to make sure I have gamepad support working properly (it works with some pads atm) and give users the ability to redefine controls and keybindings. Improve AI. The AI at the moment is very simple, they use a navmesh agent to find the next waypoint in a list and make their way there. I want to make it a little cleverer so they play dirty and try to knock the player out of the way if they see you and also get stuck a lot less often than they do atm. Love the idea and it being free to play might help it find an audience.